Guitarist Bert Jansch Is Dead At 67 : The Record The seminal Scottish folk guitarist, singer, and composer passed early Wednesday morning after a battle with lung cancer. One of the central figures of the British folk music scene of the 1960s and '70s has died. Bert Jansch influenced a range of musicians from Jimmy Page, who took a Jansch folk song and turned it into a Led Zeppelin rocker, to Paul Simon, who learned from the Scottish-born guitarist and Neil Young, who likened Jansch's guitar playing to an acoustic Jimi Hendrix. Jansch died early Wednesday morning in London after a battle with lung cancer. He was 67 years old. 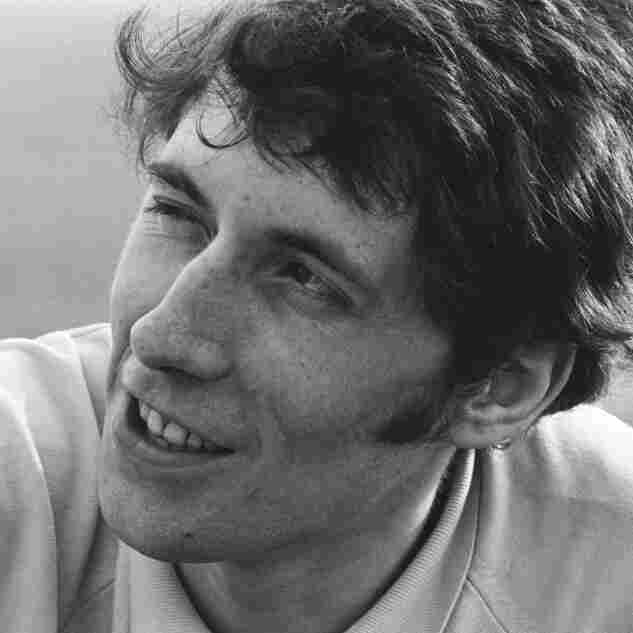 Bert Jansch recorded his self-titled first album in 1965 in his producer's home. It went on to sell a reported 150,000 copies and included a striking original about heroin, called "Needle of Death." 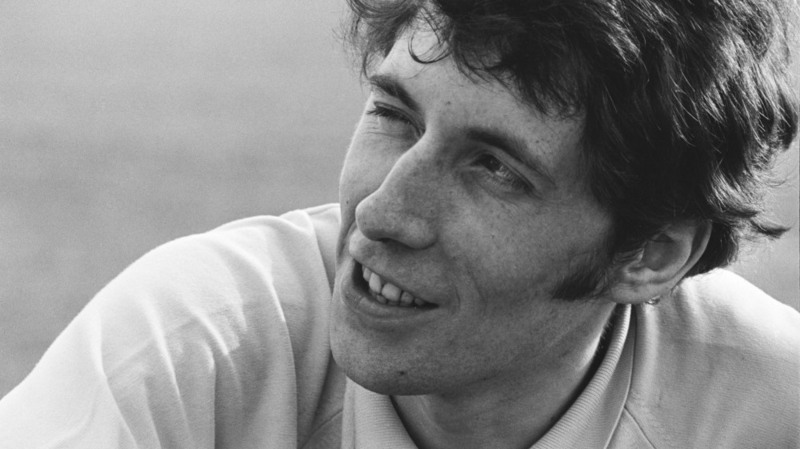 Listen: Bert Jansch's "Needle of Death"
It also included a tune originally written by fellow British guitarist Davy Graham, called "Anji." Paul Simon learned Jansch's version of the song and then recorded his own (retitling it "Angie" in the process). "He really slapped strings — he pulled 'em and pushed," says Simon, who was living in London when Jansch was. "He was really strong and that was very much his style. I don't know if he invented it but I associate it with him." Simon and Jansch both played in the London folk clubs. "Which in England at the time were really just rooms above a pub," says Simon. "And you'd play to like 75 people, something like that. Sometimes there was no microphone and you just sang." At the time, Jansch was sharing an apartment with another guitarist. He told the BBC in 2008 that they got tired of playing the folk clubs. "I was sharing a flat with John Renbourn," he said. "Because we were playing together at that point, we decided that we should open in a club that was just us and invite all sorts of people along that we fancied. And basically that's how it started." "It" was the group Pentangle. The people they fancied were singer Jacqui McShee, bass player Danny Thompson, and drummer Terry Cox. McShee was singing traditional folk, Thompson was playing in a blues band and Cox had a jazz background. They fused those diverse influences into a fresh take on British folk music. The new style came to be dubbed "folk Baroque" and it was an essential part of a music scene that saw bands like Fairport Convention blending traditional folk with rock. After the original Pentangle broke up in 1973, Jansch settled into life on a farm. But only two years later he hit the road again performing solo. Simon says that's who Jansch was. "He was close to an English version of Dylan," he remembers, "the sort of wild rebel in his lifestyle. In his playing he was just an extraordinary player and blues player." Jansch struggled with alcoholism. He finally got sober and by the mid-'90s was performing and recording again. He underwent heart surgery six years ago but continued performing until this past August, when he joined a reunited Pentangle at London's Royal Festival Hall. His last album was released the year after his surgery and included collaborations with such younger musicians as Beth Orton and Devendra Banhart. Just months ago, Jansch told the BBC how much he loved the interest his music drew from young players. "It's always surprising me, myself, that I meet young people who are obviously not of my generation and yet they're coming back 'round to the music I was listening to," he said. "So it's fantastic."